From Lonesome Dove to Montana, from	The Haunted Mesa to The Last Trail, we can help you find the western fiction books you are looking for. As the world's largest independent marketplace for new, used and rare books, you always get the best in service and value when you buy from Biblio.com, and all of your purchases are backed by our return guarantee. An epic story of two retired Texas Rangers on a cattle drive to Montana that is loosely basedon historic events from the 19th century, the original Lonesome Dove story was written to be a screenplay called "The Streets of Laredo.” The 1970s film was to be directed by Peter Bogdanovich, starring John Wayne, James Stewart, and Henry Fonda. However, due to casting issues, the movie was abandoned. 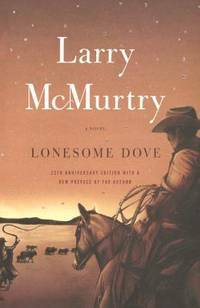 Larry McMurtry later turned the Lonesome Dove script into a full-length Pulitzer Prize-winning novel. The novel was later re-adapted to a four-part television miniseries starring Tommy Lee Jones, Robert Duvall, and Robert Urich. Cities of the Plain is the final volume of American novelist Cormac McCarthy's "The Border Trilogy. " A film adaptation to be directed by Andrew Dominik has been announced for release in 2012. The title is a reference to Sodom and Gomorrah . True Grit tells the tale of fourteen-year-old Mattie Ross from Dardanelle, Arkansas, and how she sets out to avenge his death at the hands of a no-good outlaw. She manages to illicit the help of hard-drinking Marshal Rooster Cogburn in her quest. Streets of Laredo is a novel by Larry McMurtry. Although it was published second, it is chronologically last in the Lonesome Dove series. Comanche Moon, a western novel by Larry McMurtry is the last one written in his Lonesome Dove series, though it is the second in the chronology of the narrative. Cormac McCarthy is an American novelist and playwright. He has also written plays and screenplays. This novel, All The Pretty Horses , won the National Book Award in 1992. The story reads like a Western novel, but is set in 1949 and revolves around the life of a 16-year old Texan named John Grady Cole. After his parent’s marriage ends, he finds himself at the end of a long line of ranchers, without a family ranch to work. So he sets out for Mexico on horseback with two companions. By turns both comic and tragic, the elaborate character development and McCarthy’s superb descriptive style make this book a rare treat. Jack London’s The Call of the Wild is an anthropomorphic canine’s unforgettable tale of survival. Set during the 1890s Klondike Gold Rush, the novel’s main character, Buck, a large and powerful St. Bernard-Scotch Shepherd, is stolen from his ranch home in Santa Clara Valley, California, and sold into service as a sled dog. At first, Buck experiences violence and struggles for survival, becoming progressively feral in the harsh environment. By the end, Buck relies on his instinct and learned experience to emerge as the proven leader of the pack. In The Call of the Wild, author Jack London blends his experience as a gold prospector in the Canadian wilderness with his ideas about nature and the struggle for existence, influenced by the work of Darwin and Nietzsche. Thus, although the novel is first and foremost a story about a dog, it displays a philosophical depth absent in most animal adventures. In the summer of 1903, the story was first serialized in four installments in The Saturday Evening Post, which paid $750 for it. Soon after, London sold all rights to The Call of the Wild to Macmillan, which published the story in book format in August of that same year. As the first printing of 10,000 copies sold out immediately, it is safe to say the novel was enormously popular from the moment it was published. It has since secured its place in the canon of American literature. Today, The Call of the Wild is still one of the best-known stories written by an American author and has been published in almost 50 languages. The Call of the Wild is ranked 35th on The Guardian’s list of the 100 best novels and 88th on Modern Library’s “100 Best” English-language novels of the 20th century. The Clan of the Cave Bear is a historical fiction novel by Jean M. Auel about prehistoric times set somewhat before the extinction of the Neanderthal race after 600,000 years as a species, and at least 10-15,000 years after 'Homo sapiens' remains are documented and dated in Europe as a viable second human species. The Last of the Mohicans: A Narrative of 1757 by James Fenimoore Cooper is the second and best-known book of his Leatherstocking Tales pentalogy. Like the rest of the books in the series, the story follows the adventures of Natty Bumppo, nicknamed “Hawkeye” by his Native American friends. Set in 1757 in the American wilderness that would become New York State, The Last of the Mohicans takes place during the Seven Years' War (known in America as the French and Indian War). 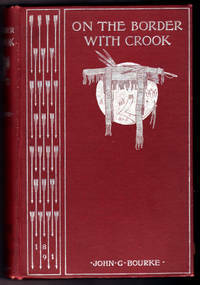 The book is widely read in American Literature courses, particularly in discussions of westward expansion and Native American assimilation, although Cooper himself was considered sympathetic towards Native Americans. Louis L'Amour is the only American-born novelist in history to receive both the Presidential Medal of Freedom and the Congressional Gold Medal. He published ninety novels, thirty short-story collections, two works of nonfiction, a memoir, Education of a Wandering Man, and a volume of poetry, Smoke from This Altar. There are more than 300 million copies of his books in print. Loaded with e-book extras (not available in the print edition), including Tony Hillerman's running commentary on his work and his series heroes Leaphorn and Chee; plus a special profile of the Navajo nation.When a bullet kills Officer Jim Chee's friend Del, a Navajo shaman is arrested for homicide, but the case is far from closed -- and requires Joe Leaphorn's involvement, as well.The car fire didn't kill Officer Jim Chee's good friend, Navajo Tribal Policeman Delbert Nez -- a bullet did. A whiskey-soaked Navajo shaman is found with the murder weapon. The old man is Ashie Pinto. He's quickly arrested for homicide and defended by a woman Chee could either love or loathe. But when Pinto won't utter a word of confession or denial, Lt. Joe Leaphorn begins an investigation. Soon, Leaphorn and Chee unravel a complex plot of death involving an historical find, a lost fortune ... and the mythical Coyote, who is always waiting, and always hungry. Bury My Heart at Wounded Knee by American writer Dee Brown is a history of Native Americans in the American West in the late nineteenth century, and their displacement and slaughter by the United States federal government. It was first published in 1970. The title is taken from the final phrase of a 20th-century poem titled "American Names" by Stephen Vincent Benet, although the poem was not actually about the Indian Wars. The novel that inspired a century of Westerns...Signet is proud to present a special centennial edition of The Virginian, a novel featuring the first fully realized cowboy hero in American literarture—a near-mythic figure whose idealized image has profoundly influenced our national consciousness. The Haunted Mesa is a science fiction novel by Louis L'Amour, set in the American Southwest amidst the ruins of the Anasazi. L'Amour attempts, as in others of his works, to suggest a reasonable explanation for the phenomena attributed to The Bermuda Triangle -- i.e. , portals between worlds or different facets of this world. The same phenomenon is used, albeit in a very minor way, in his novel The Californios. In Jubal Sackett, the second generation of Louis L'Amour's great American family pursues a destiny in the wilderness of a sprawling new land. Jubal Sackett's urge to explore drove him westward, and when a Natchez priest asks him to undertake a nearly impossible quest, Sackett ventures into the endless grassy plains the Indians call the Far Seeing Lands. He seeks a Natchez exploration party and its leader, Itchakomi. It is she who will rule her people when their aging chief dies, but first she must vanquish her rival, the arrogant warrior Kapata. Sackett's quest will bring him danger from an implacable enemy . . . and show him a life--and a woman--worth dying for.From the Paperback edition. The Lonesome Gods is Louis L'Amour's biggest and most important historical novel to date, a sweeping adventure of the California frontier. Here is the fascinating story of Johannes Verne, a young man left to die by his vengeful grandfather, rescued by outlaws and raised in part by the Indians of the desert. Strengthened by the love of two women--Miss Nesselrode, whose mysterious past fires her ambitions for the future and Meghan, a willful young beauty--Verne grows to become a rugged adventurer, a man strong enough to embrace the awesome power of the Palm Springs desert, and bold enough to stake a claim in the bustling world of opportunity that was early-day Los Angeles.From the Paperback edition. From the book:At sunset hour the forest was still, lonely, sweet with tang of fir and spruce, blazing in gold and red and green; and the man who glided on under the great trees seemed to blend with the colors and, disappearing, to have become a part of the wild woodland. Old Baldy, highest of the White Mountains, stood up round and bare, rimmed bright gold in the last glow of the setting sun. Then, as the fire dropped behind the domed peak, a change, a cold and darkening blight, passed down the black spear-pointed slopes over all that mountain world. It was a wild, richly timbered, and abundantly watered region of dark forests and grassy parks, ten thousand feet above sea-level, isolated on all sides by the southern Arizona desert - the virgin home of elk and deer, of bear and lion, of wolf and fox, and the birthplace as well as the hiding-place of the fierce Apache. A TROUBLED TOWN, A DEADLY SECRET"You're not wanted in Hattan's Point," Matt Brennan was told moments after arriving in town. "There's trouble here and men are picking sides." But Matt decided he wasn't going anywhere. Not until he found out what the dispute was about, and not before he got to know Moira Maclaren. She considered him nothing more than a drifting ranch hand, but Matt was determined to prove her wrong. To do so, he'd have to solve a mystery that was at the center of the growing violence in Hattan's Point--a secret that could make a man rich . . . or dead. Probably dead.From the Paperback edition. In Sackett, Louis L'Amour introduces readers to a wandering man with a desire to settle down and build a good life.Hard circumstances had made William Tell Sackett a drifter, but now he hungered for a place he couldn't name yet knew he had to find. South of the Tetons he came upon a ghost of a trail that led him through a keyhole pass into a lonely, alien, yet beautiful valley--a valley that held a fortune in gold.Then he found an even greater treasure: beautiful Ange Kerry, a courageous and resourceful woman. Yet the harsh ways it takes to preserve his claim and his life could be the one thing that drives Ange away forever.From the Paperback edition. He left the West at the age of seventeen, leaving behind a rootless past and a bloody trail of violence. In the East he became one of the wealthiest financiers in America--and one of the most feared and hated.Now, suffering from incurable cancer, he has come back to New Mexico to die alone. But when an all-out range war erupts, Flint chooses to help Nancy Kerrigan, a local rancher. A cold-eyed speculator is setting up the land swindle of a lifetime, and Buckdun, a notorious assassin, is there to back his play.Flint alone can help Nancy save her ranch...with his cash, his connections--and his gun. He still has his legendary will to fight. All he needs is time, and that's fast running out....From the Paperback edition. Louis L’Amour is undoubtedly the bestselling frontier novelist of all time. He is the only American-born author in history to receive both the Presidential Medal of Freedom, and the Congressional Gold Medal in honor of his life's work. He has published ninety novels; twenty-seven short-story collections; two works of nonfiction; a memoir, Education of a Wandering Man ; and a volume of poetry, Smoke from This Altar . There are more than 300 million copies of his books in print worldwide. Filled with exciting tales of the frontier, the chronicle of the Sackett family is perhaps the crowning achievement of one of our greatest storytellers.In The Warrior's Path, Louis L'Amour tells the story of Yance and Kin Sackett, two brothers who are the last hope of a young woman who faces a fate worse than death. When Yance Sackett's sister-in-law is kidnapped, he and Kin race north from Carolina to find her. They arrive at a superstitious town rife with rumors--and learn that someone very powerful was behind Diana's disappearance. To bring the culprit to justice, one brother must sail to the exotic West Indies. There, among pirates, cutthroats, and ruthless "businessmen," he will apply the skills he learned as a frontiersman to an unfamiliar world--a world where one false move means instant death.From the Paperback edition. Riders of the Purple Sage is Zane Grey's best-known novel. 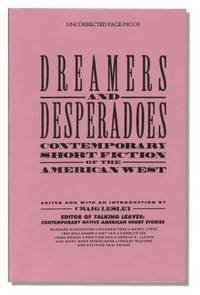 Originally published in 1912, it was one of the earliest works of Western fiction and played a significant role in popularizing that genre. In To the Far Blue Mountains, Louis L'Amour weaves the unforgettable tale of a man who, after returning to his homeland, discovers that finding his way back to America may be impossible.Barnabas Sackett was leaving England to find his fortune in the New World. But as he settled his affairs, he learned that a Royal warrant had been sworn out against him, and that men were searching for him in every port. At issue were some rare gold coins Sackett sold to finance his trip to the Americas--coins believed to be part of a great treasure lost by King John years before.Believing that Sackett possesses the rest of the treasure, the Queen will stop at nothing to find him. If caught, not only will his dream of a life in American be lost, he will be tortured and put to death on the gallows.From the Paperback edition. He was etched by the desert's howling winds, a big, broad-shouldered man who knew the ways of the Apache and the ways of staying alive. She was a woman alone raising a young son on a remote Arizona ranch. And between Hondo Lane and Angie Lowe was the warrior Vittoro, whose people were preparing to rise against the white men. Now the pioneer woman, the gunman, and the Apache warrior are caught in a drama of love, war, and honor.From the Paperback edition. Dal and Mac Traven left Texas young and idealistic. They came back from opposite sides of a living hell, a war that had torn the nation in two. They wanted only to reclaim their old lives...but one man held their future hostage.Colonel Henry T. Ashford had gathered an army of criminals and renegade soldiers, leading them on a path of destruction and kidnapping through Texas to the Gulf. Among Ashford's captives were the Travens' sister and Dal's tough-minded fiancee, Kate.Now Mac and Dal must take up arms once again and ride together against Ashford's army--ready to fight another war, if that's what it takes to win the freedom of the women they love.From the Paperback edition.